For over 25 years, Stephen Carpenter of Deftones has been credited for exploring his own textures with the guitar, and, in the process, becoming one of the foundations of the alternative metal musical genre. 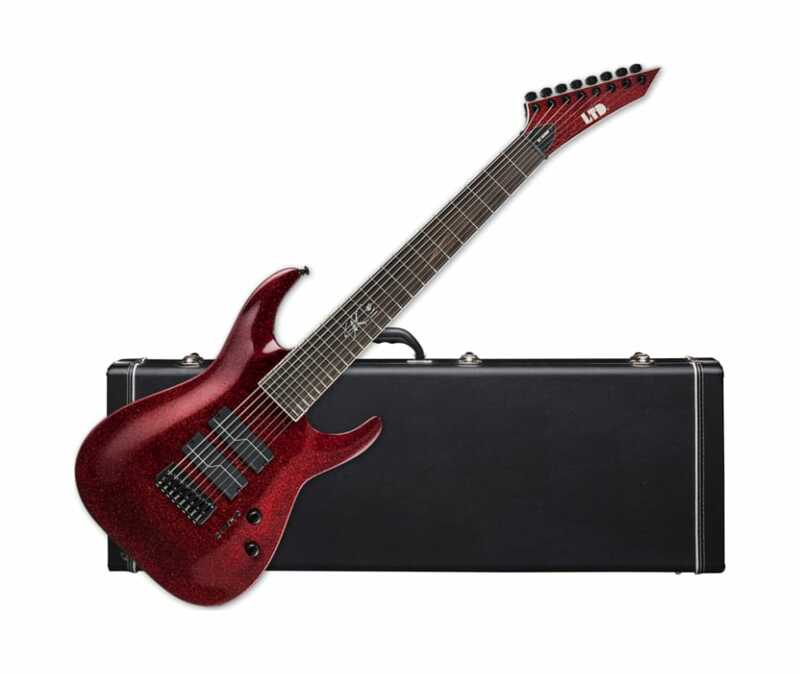 His LTD Signature Series SC-608B - updated for 2018 with a great-looking Red Sparkle finish - allows musicians of all kinds to take advantage of the extended range of an 8-string guitar while getting the benefits of a solidly-built guitar thats completely ready for studio or stage. Its a neck-thru-body design at 27" baritone scale, with a mahogany body, maple neck, and 24-fret ebony fingerboard. Its Fishman Fluence SRC Signature active pickup set has multiple voicings; use the push-pull control on the volume knob to select the one you want. On the middle alnico pickup, push down for "Modern Active" tone or pull up for Modern Passive Attack. On the bridge ceramic pickup, push down for Modern Passive Attack tone or pull up for "Modern Active" voicing. This model utilizes a standard 9V battery.